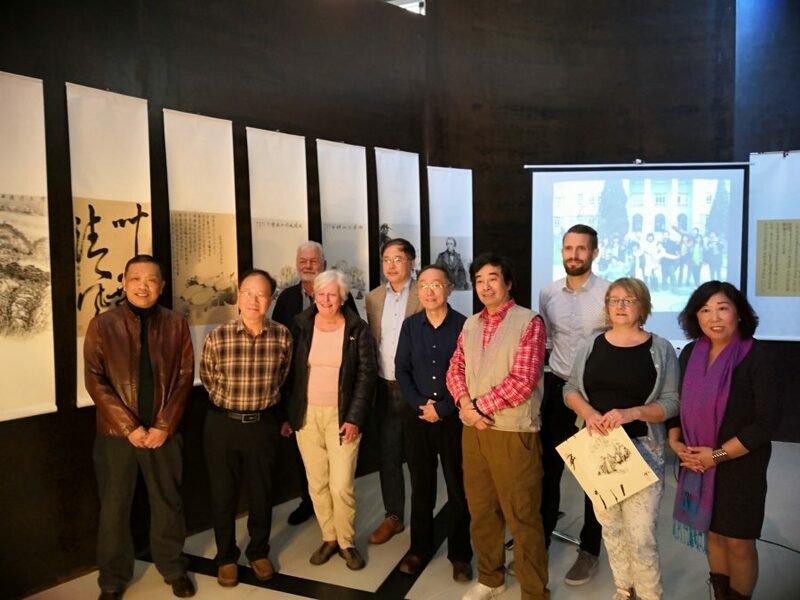 Invited by China Cultural Center in Copenhagen, on 15th of October 2018, the delegation of Tianjin Academy of Fine Arts brought their painting works to hold the “Tour in the Hometown of Hans Christian Andersen-Special exhibition of Chinese calligraphy and painting in Denmark”. “The Chinese eat rose syrup, use silk as mouthwash and half of their houses are gilt.” Although Andersen had never visited China during his lifetime, this probably represented the most accurate and comprehensive impression of China in the minds of Danish at that time. 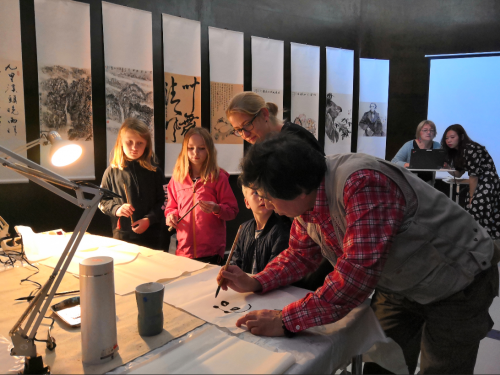 Nowadays, China Cultural Center in Copenhagen brought Chinese Traditional Calligraphy and Painting to Anderson’s hometown-Odense to show how is Chinese culture. 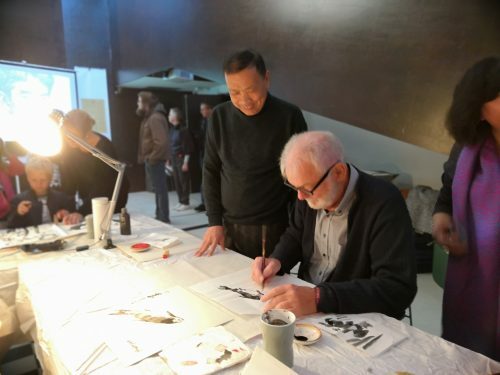 The exhibition attracted a lot of Danish, and it impressed them with the unique charm of Chinese calligraphy, painting tradition and the pursuit of painting aesthetics. 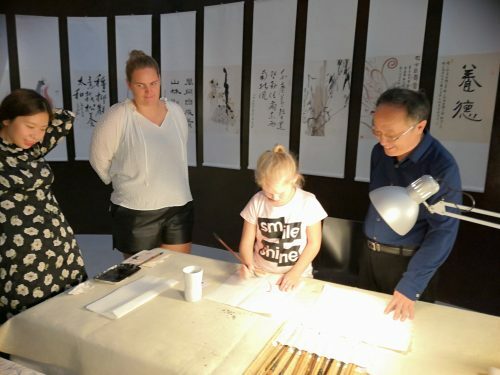 A lot of Children asked artists to teach them calligraphy. The cultural center, a non-profit institution, will be used as a library, for exhibitions, concerts and education. Due to renovation, the building is closed for now.